I saw these at a trade show and it was love at first sight. 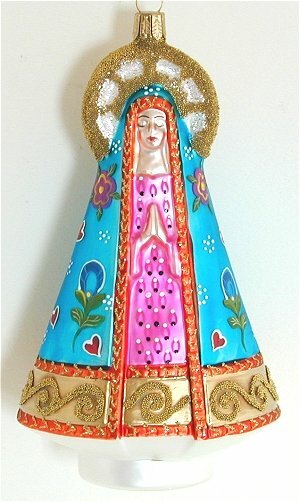 Somebody in Poland likes the Oaxacan Wood carvings as much as I do to make so fine a glass ornament. 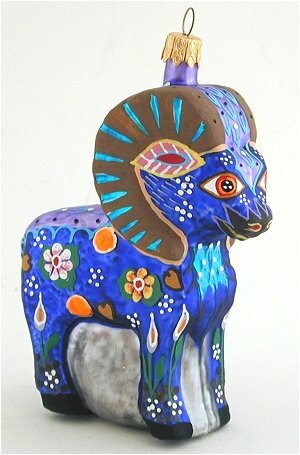 They really captured the feel of the paintings you see on the oaxacan carvings on our site. 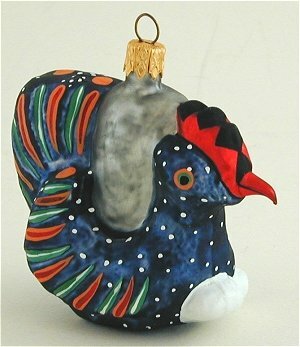 These are glass and quite beautiful as well as completely useable for your Christmas tree. 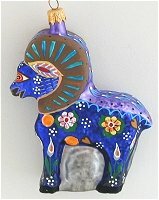 Beautiful ram as shown in larger photo. Colorful chicken with her eggs. 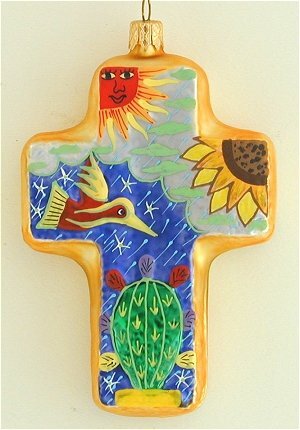 Its almost a toss up which I like better the armadillo here or the cross below. Both are nice but in the end I will go with this armadillo as we've carried so many wonderful wooden pieces that I have photographed over the years that I have developed a fondness for them- at least in wood ! 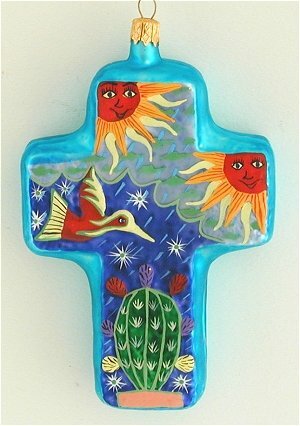 These crosses are so bright and cheering that they shouldn't be just for your Christmas tree. A large and very serene piece.